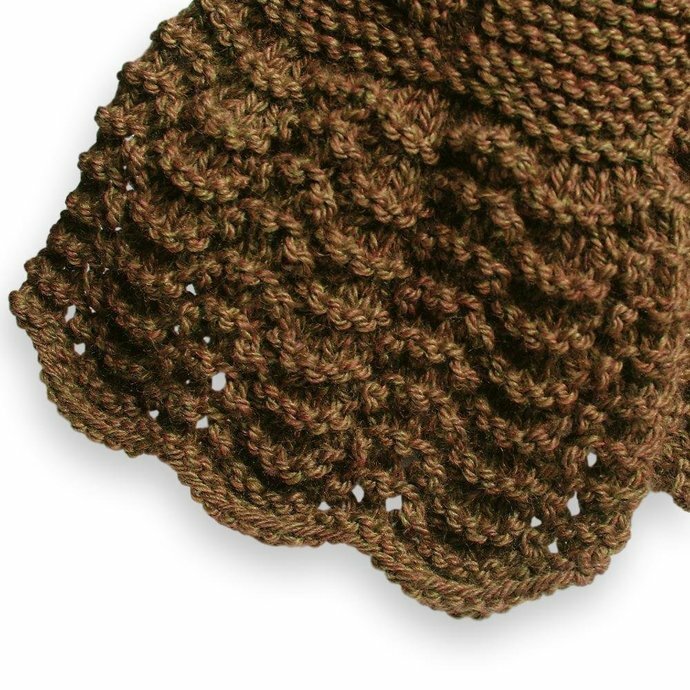 This knitted pull-through lacy ascot is a fun-to-wear cold weather fashion accessory. A keyhole scarf has a slit near one end that allows the other end of the scarf to slip through to secure it around the neck without being bulky. 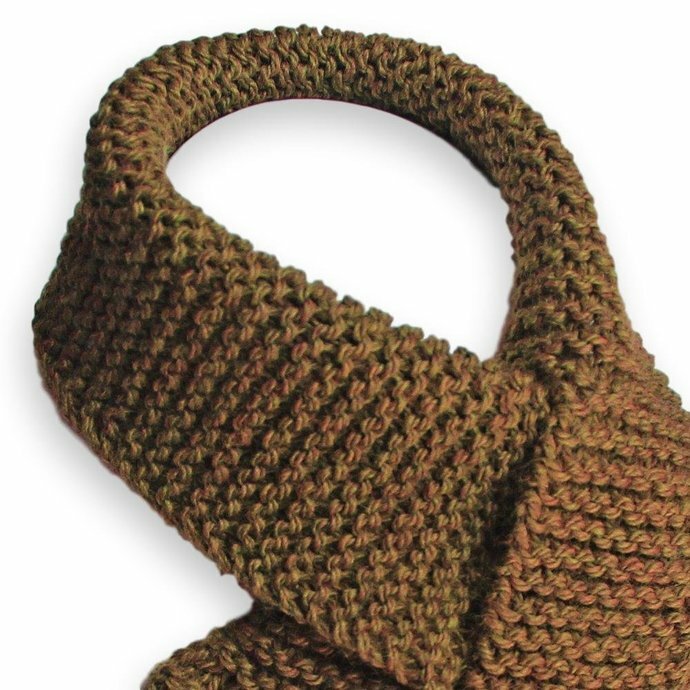 This very warm, brown mustard color keyhole scarf is hand knit from a soft machine washable wool blend yarn that has a soft drape. 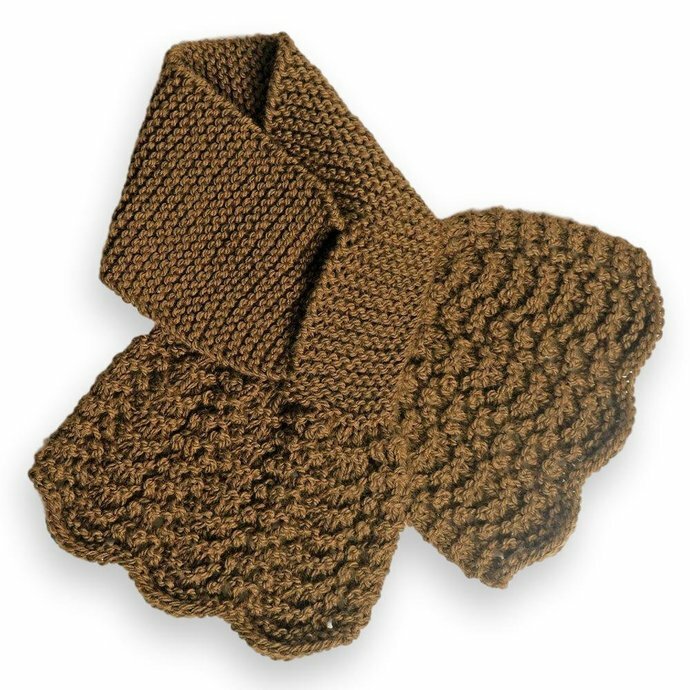 The shorter length lacy winter neck warmer is suitable for ladies or teenage girls.